Diamond Resorts announced today that it has acquired the Amber Vacation Club and related assets, adding two locations to Diamond Resorts' growing portfolio of properties. Amber Vacation Club was established in 1994 and has approximately 13,500 owners. As part of the acquisition, Diamond Resorts will assume operations at Amber's managed resorts: Sunrise Ridge Resort in Pigeon Forge, Tennessee and Alhambra Villas and the neighboring resort of Alhambra at Poinciana in Kissimmee, Florida. Sunrise Ridge Resort is nestled in the foothills of one of the most beautiful areas in the United States – the Great Smoky Mountains. Downtown Pigeon Forge is just minutes away and packed with exceptional dining and entertainment options. Alhambra Villas and Alhambra at Poinciana are located in the heart of Kissimmee, about 35 miles south of Orlando. The resorts are surrounded by sparkling blue lakes and quiet creeks, and are positioned for easy access to many of the Central Florida's most popular attractions. "We eagerly pursued this transaction for many reasons, including Amber's talented team of employees, loyal owner base and two quality resorts in desirable destinations," said Michael Flaskey, Chief Executive Officer of Diamond Resorts. 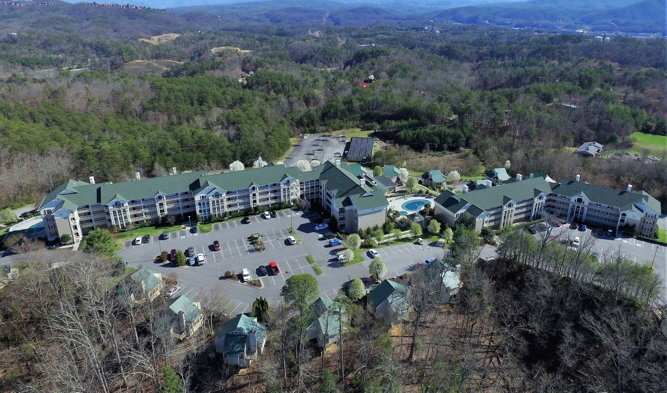 "Sunrise Ridge Resort in Pigeon Forge adds critical mass for us in the Smoky Mountains and leverages an existing talented Diamond Resorts team in Eastern Tennessee. We look forward to significantly expanding in this market, which welcomes more than 10 million visitors per year." Diamond Resorts will establish a sales and marketing center at Sunrise Ridge Resort and plans to upgrade the front desk and reservation systems at the resorts. Diamond Resorts also plans to make other improvements at the resorts over time, while establishing adequate operating reserves in the resort budgets. "We are confident this acquisition will enhance vacation experiences for Amber's owners, while also potentially opening new doors for Amber's employees," said Flaskey. "As a leader in the vacation ownership industry, we are dedicated to continually providing new and exceptional vacation options to our members, and we feel this acquisition is a great compliment to our resort network." Are you with Diamond Resorts? If you are a member of Diamond Resorts you may be interested in learning how to optimize your content on our network.